OnePlus is about to make an announcement about its upcoming phone, the OnePlus 6T, in the next few hours. 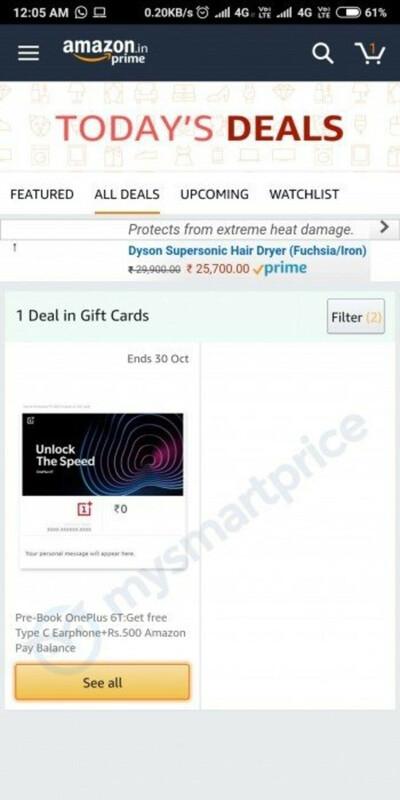 However, it appears that the launch date for the device has already been revealed thanks to a listing on Amazon India. According to said listing, the pre-order period for the phone will end on October 30. This means that shipping will either start on that day or on November 1. The offer for Amazon India users includes a free pair of USB C earphones plus some store credit for Amazon itself. It remains to be seen whether a similar offer will be available to other markets as well. 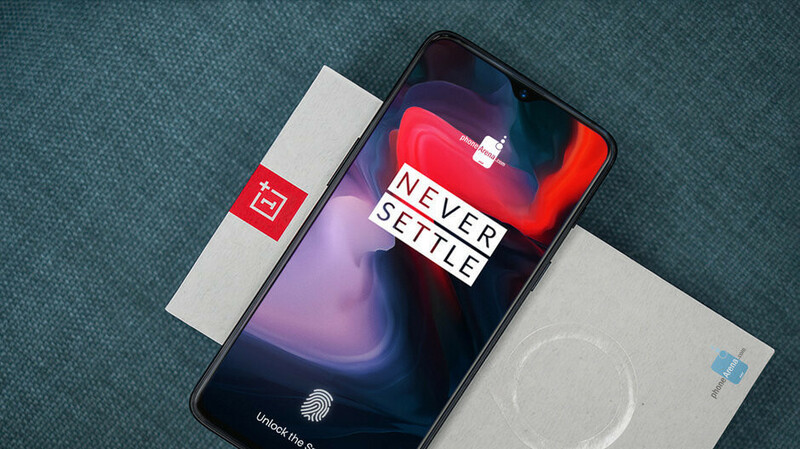 Currently, it is estimated that the OnePlus 6T will be officially revealed on October 17. Rumored specs call for the phone to carry a 6.4-inch AMOLED display with a waterdrop notch and a 1080 x 2340 resolution (19:9 aspect ratio). The Snapdragon 845 Mobile Platform should be under the hood along with 6GB/8GB of RAM and up to 256GB of native storage. A dual-camera setup will adorn the back of the phone, and keeping the lights on is a 3700mAh battery. As we mentioned earlier, the company will reveal something new about the phone today, so stay tuned for more official info about the device. Shipping date is not equal to launch date. But yeah, mostly 17th October. My interest in this phone lessens day by day. Why does your interest lessen day by day? Because I am disappointed by the lack of headphone jack, lack of any significant improvement in camera hardware or in general lack of innovation. In-display fp scanner might be something that is technologically advanced, but does not warrant removal of the jack. Rear fp scanner on OP6 is in all probability, faster than OP6T. There are phones like Vivo V11 Pro which keep both. Plus, it has the same chipset , water resistance and speaker setup as OP6. I think OP6 is a better buy. No wireless charging also, to make some use of that glass back. The only positive thing is the 3600-3700 mAH battery with Super VOOC charging. People are gonna miss the OP6 after the OP6T is out. That shouldn't happen with any sequel for a phone. Coupled with the abundance of what I think are pretty accurate leaks, I think it will be one of the most lackluster launches for OP6T. Phone is way too big for my tastes. I wish they would make a successor to the X. 5.5" 18:9 screen and minimal bezels would make for a good sized phablet that could be used one handed without too much issue. Will it still be coming to T-Mobile?